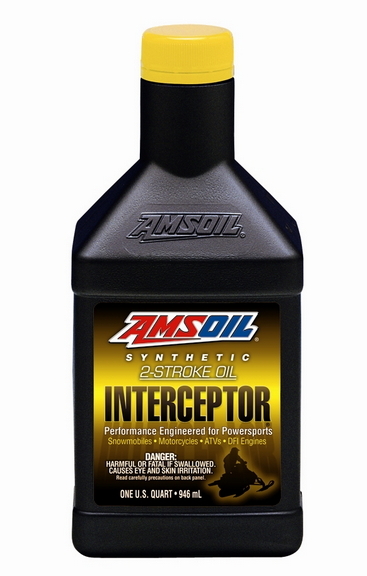 INTERCEPTOR® Synthetic 2-Stroke Oil A specialized oil for today’s specialized engines High-performance 2-stroke oil with an emphasis on exhaust power valves. Contains high levels of detergent additives to prevent valve sticking. 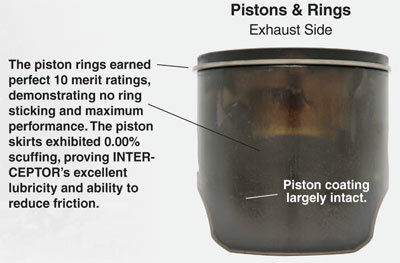 Excellent in snowmobiles, motorcycles, PWC, ATVs and jet boats. Regarded as ‘The Main’ Snowmobile oil which also encompases personal water craft and other 2-cycle engines with powervalves. 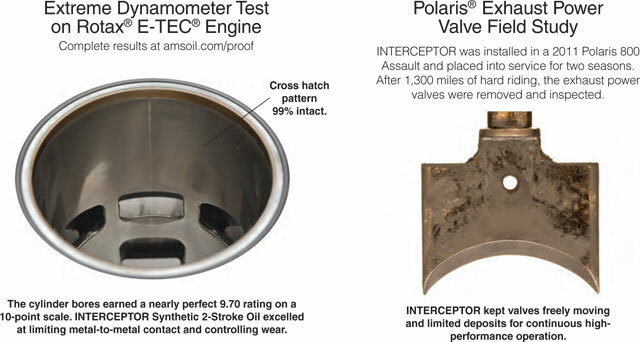 Individuals using OEM brands are really missing out on performance and the resulting reduction of costly maintenance.